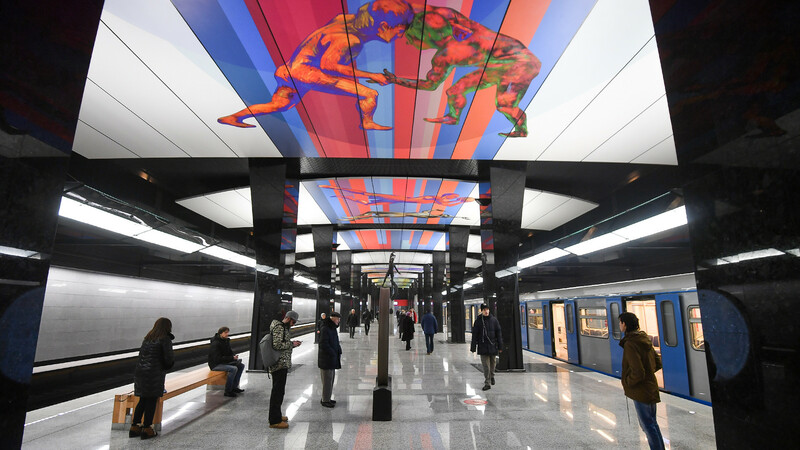 A new Moscow Metro line is opening section by section, with each station boasting its own unique style. 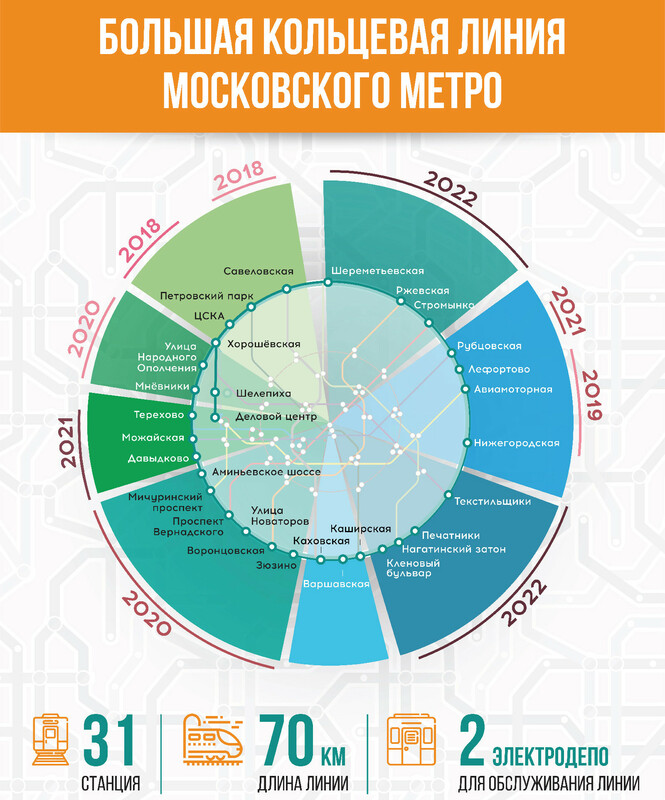 Moscow continues to build new transport circuits: a large circle line, over 40 miles long, will open in the Moscow Metro soon. It will form a circle linking several radial line stations from the city center. The new line will have 31 stations, including 19 interchange ones. The first section of the new circle line was opened in 2018, linking Savelovskaya and Delovoy Tsentr in the city's western suburbs. Completion of the new line is expected in 2023. Each station has its own unique concept and look; with each designed by a separate architect. The station is located in Khodynka Field, not far from an old disused airfield. One of the city's biggest shopping centers and sport complexes is situated nearby. The station links a commuter train station of the same name with the gray line of the Moscow Metro. Its interiors are restrained, with surfaces of gray and black granite. The design of the station is reminiscent of old aristocratic mansions: round marble columns, chandeliers and black panels with floral ornaments. 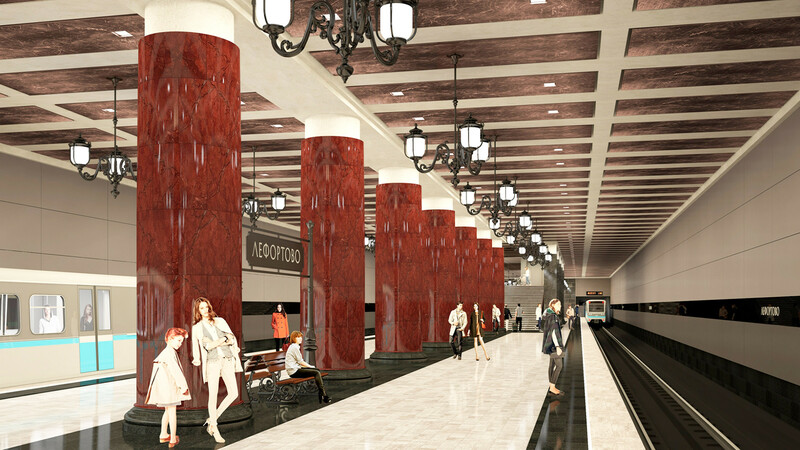 This section of the metro in southwest Moscow is being built with Chinese partners. That is why Michurinsky Prospekt will have an Oriental design. 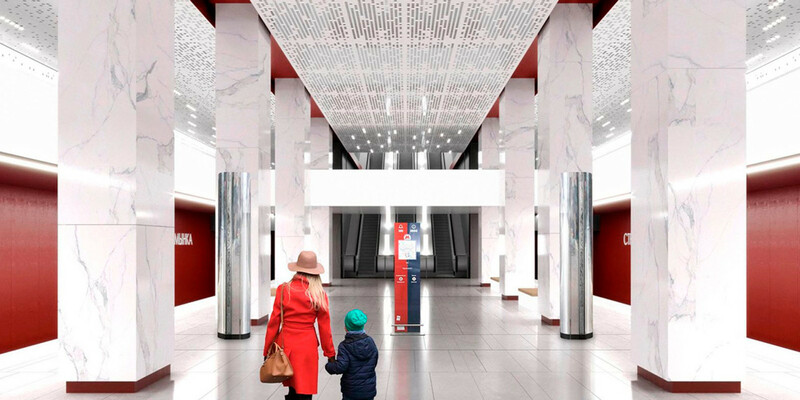 Inside, there will be red columns, while the vestibule will be covered with hieroglyphs about friendship. Above ground, on Michurinsky Prospekt itself, a huge red-and-black pavilion will serve as the interchange for different lines. 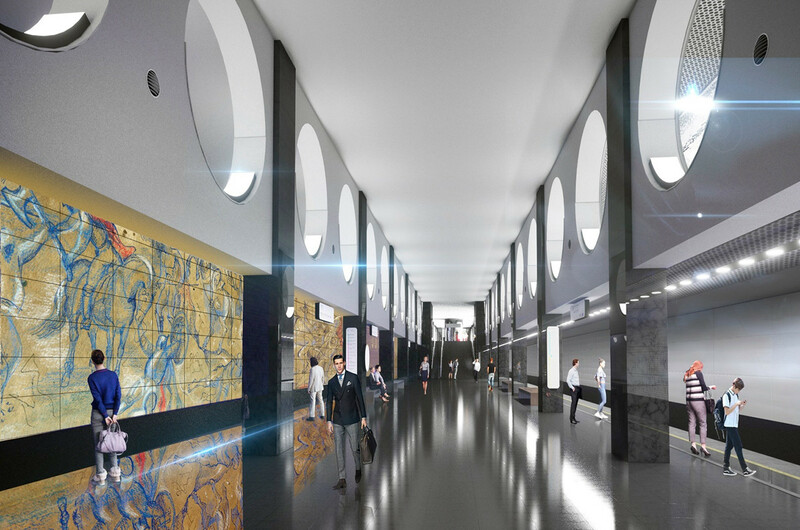 The station will be decorated with gray granite, with porthole-like illuminated niches reminiscent of an aquarium. 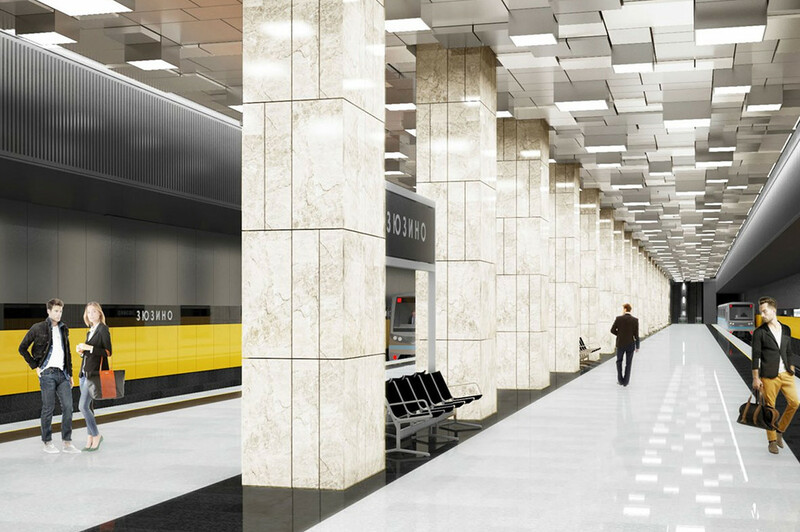 The station will look like a beehive, decorated with yellow and black panels, its ceiling covered in honeycombs. 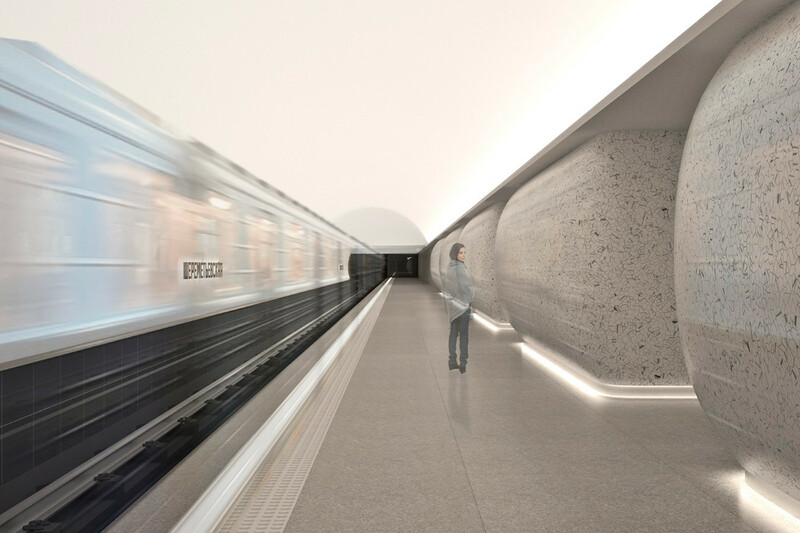 For this station, designers have chosen a 'porcelain' style: decorations will consist of pot-bellied 'teapot' columns and marble wall panels will be covered with a pattern imitating fine cracks. 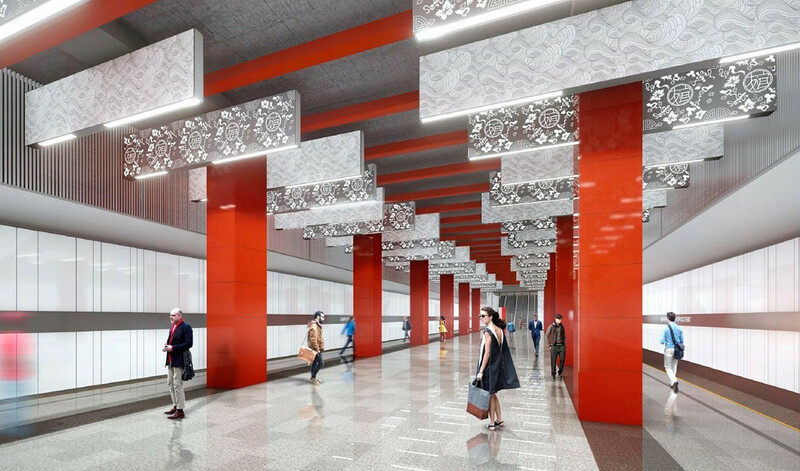 The entrances to the station will be almost fully transparent and its ceiling decorated with perforated inserts. 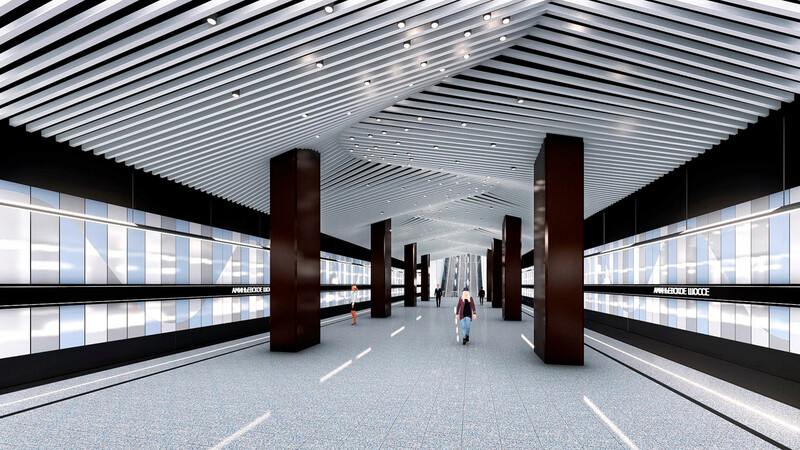 Inside, the station will be executed in high-tech style, in red and white. The most interesting feature of this station will be a ceiling imitating sea waves and boasting unusual illumination. 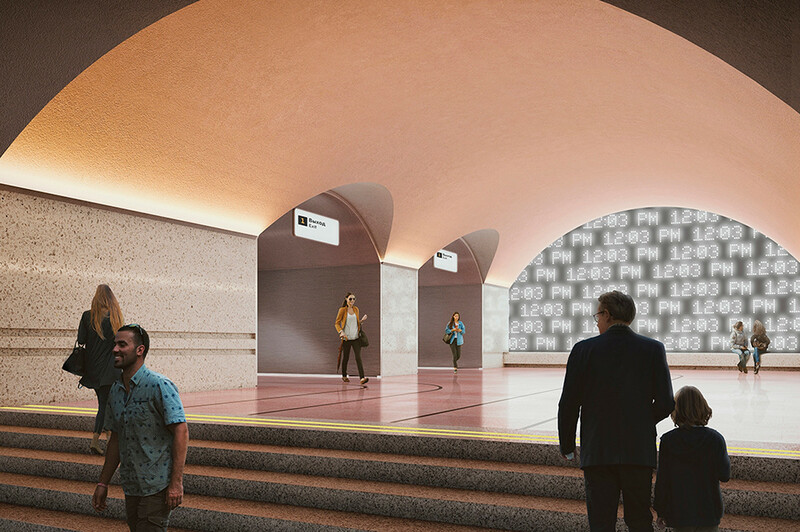 The architectural focus of this station in the city's northeast will be a huge wall-to-wall digital panel-clock. The idea is that the metro is not just a means of transport but a time portal. The platforms will be decorated with classic arches, symbolizing city gates. 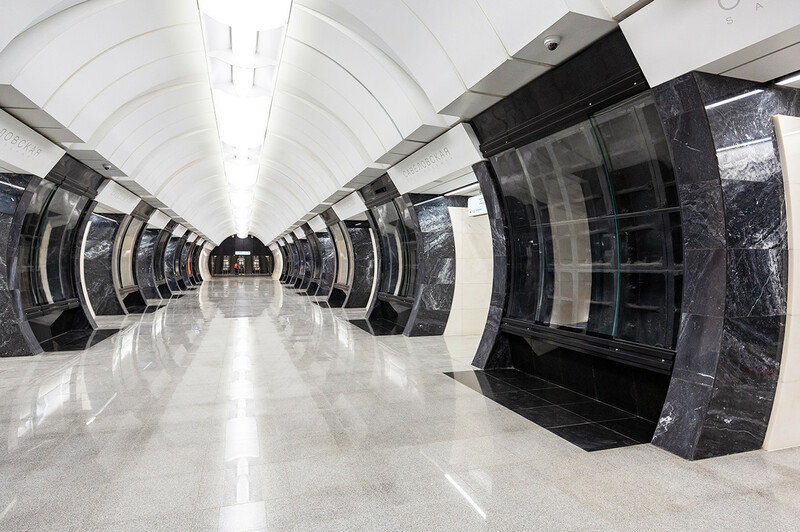 What’s so extraordinary about the Moscow Metro’s 7 new stations?